Excellent performance for music, movies, and games. 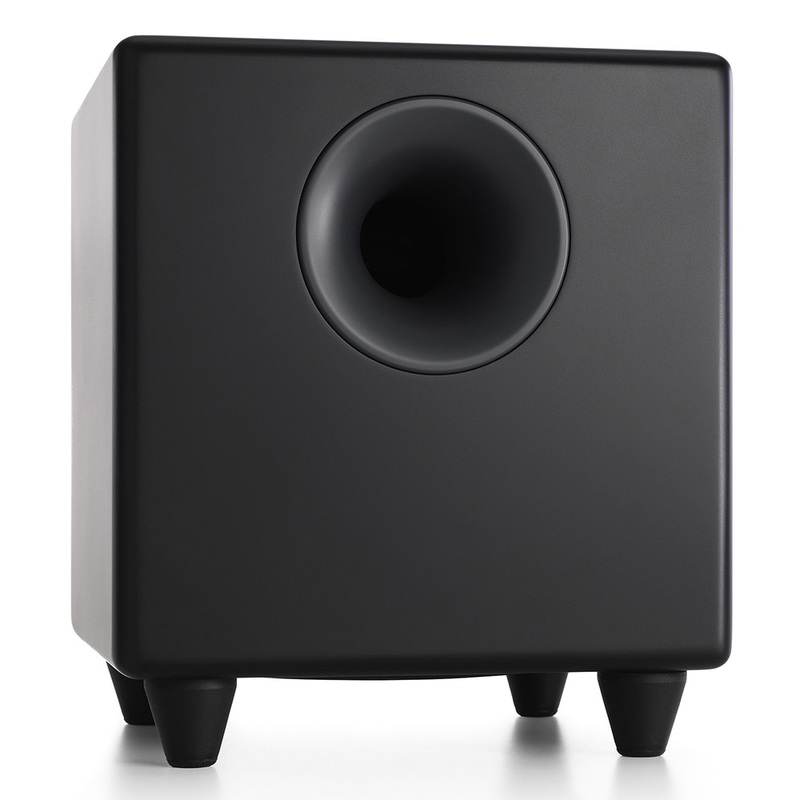 A perfect bass extension for Audioengine powered speakers or as an upgrade to any music system. 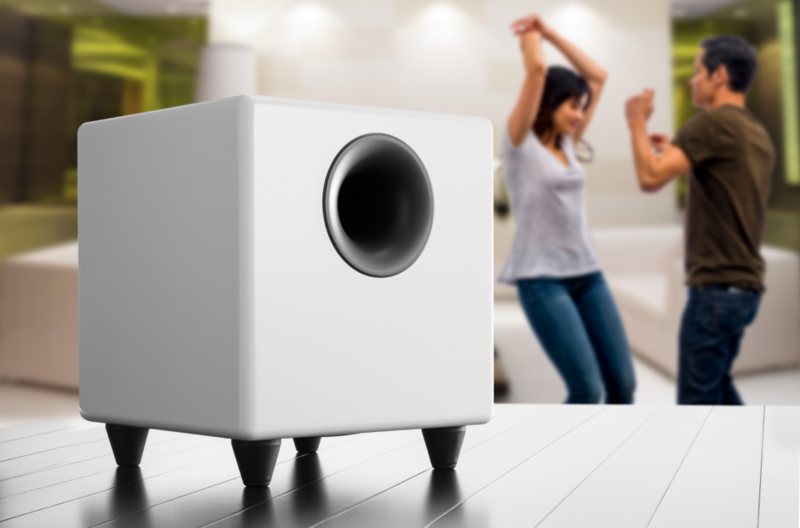 Our S8 Subwoofer has an 8″ custom woofer and is small enough to place in a corner or hide behind furniture. 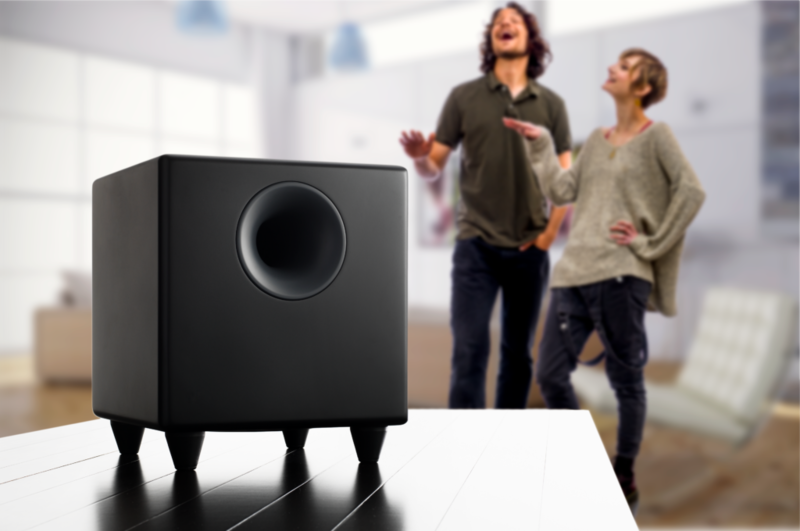 The S8 delivers great bass performance and its low, tight, and smooth bass will blend well with the other speakers in your system. 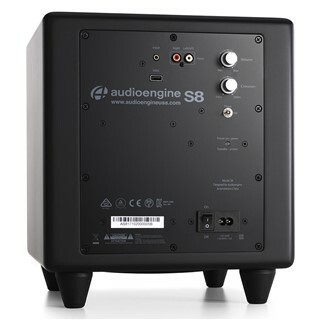 Dual audio inputs are included on the rear panel so connecting S8 to all your gear is easy. 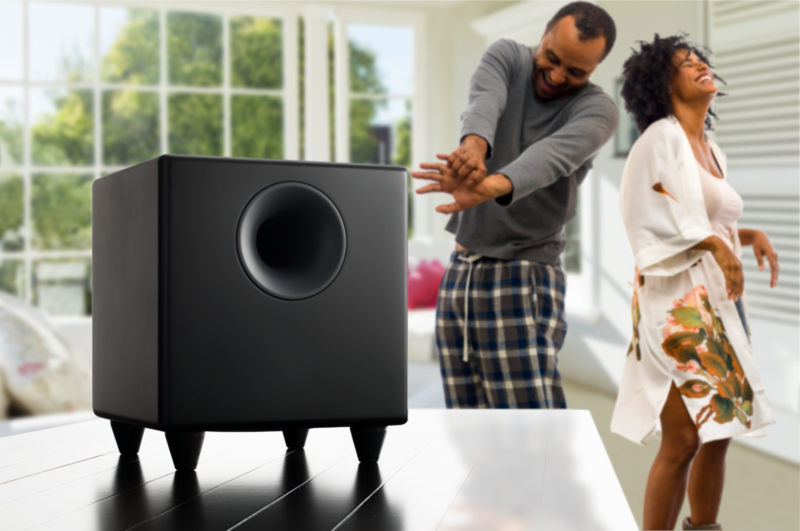 An auto-sleep standby feature turns the S8 Subwoofer off when you’re not playing music. 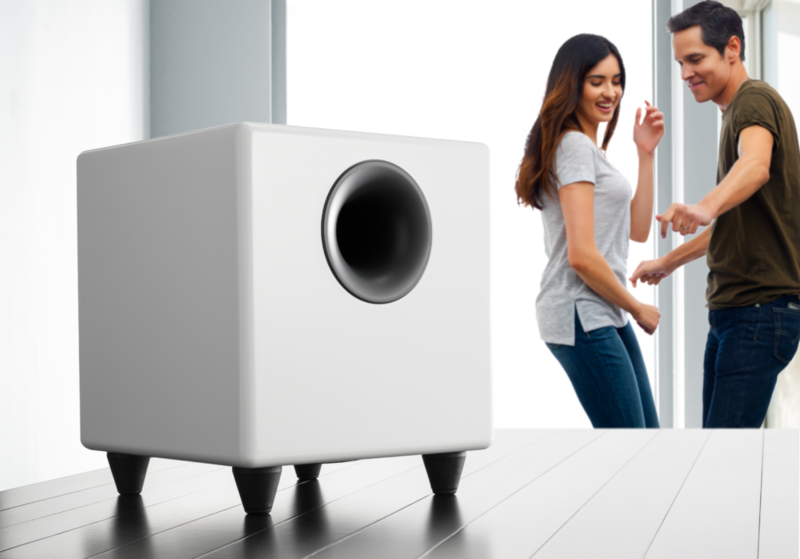 The S8 Subwoofer has a super-fast woofer designed for audio and home theater performance. It features an anti-resonant steel frame and heavy-duty rubber speaker surround for accurate low end. The S8’s bottom-firing and front-ported design means you’ll hear quick, precise bass with no distortion, even at higher volume levels. 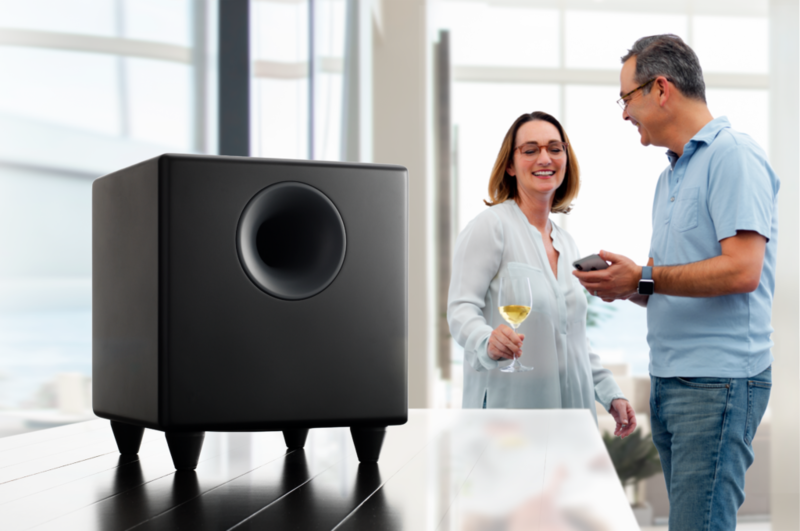 In other words, S8 is a tight, smooth, and natural-sounding subwoofer. 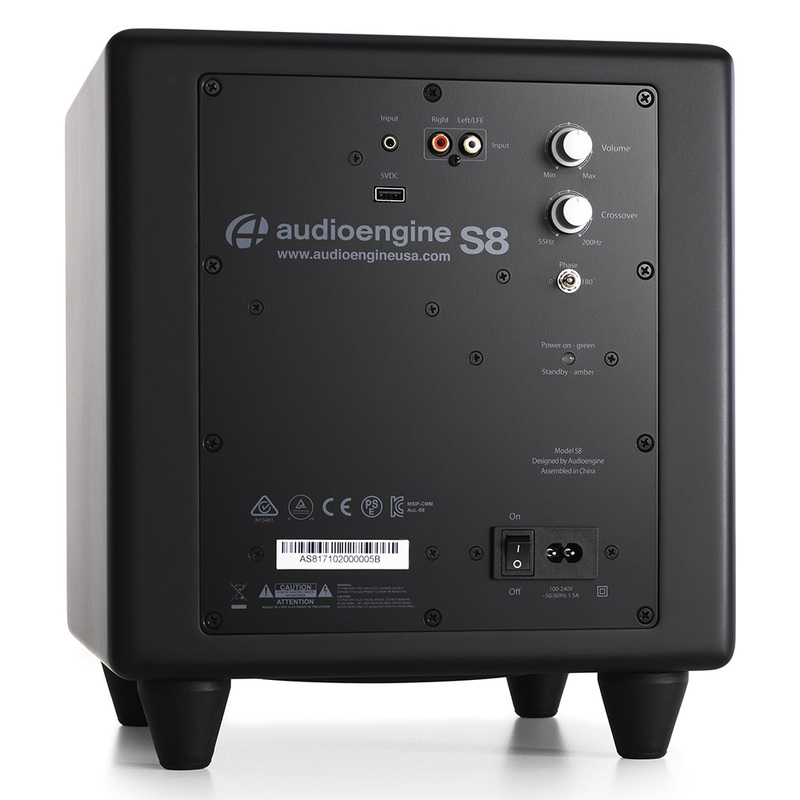 If you decide to locate the Audioengine S8 away from your powered speakers or AV receiver, check out the Audioengine W3 Wireless Audio Adapter for high-quality wireless.